The word 'healing' means 'being whole'. ​​​​​​​​​​​​​Healing music does not mean music can cure but it is a holistic mechanism causing a chain reaction to effect desirable changes by bringing emotional, physical, mental and spiritual functioning of individuals into balance. Historically, the harp has been one of the most characteristic instruments of a timelss healing tradition, a symbol of comfort, peace and relief. 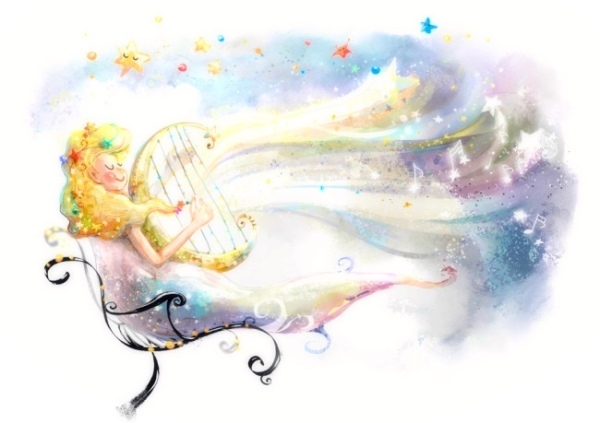 Harp music has three properties(strains) which were used by ancient harpers: the 'sleep strain' which bring rest and slumber; the 'sorrow strain' which bring tears and reaches deepest unsettling and grief in heart; the 'joy strain' brings vitality and merriment. Harp therapist is a certified therapeutic musician who offers live harp music at bedside, match the individual's mood, physical responses, musical preferences and resonant tone by customizing the music elements: rhythm, harmony and melody. The therapeutic musicians should receive and graduate from relevant accredited training programmes to meet minimum standards in skills and knowledge and being certified to play live therapeutic music to indivdiuals in hospitals, hospice and long-term care facilities. Therapeutic harp service is non-prescriptive, the process can be active or passive, there is no specific agenda or objective for each session but rather flexible and focuses on here-and-now response. To conclude, therapeutic harp is an art of healing, not a performance, but a service with good intent for harmony and wholeness within individuals. 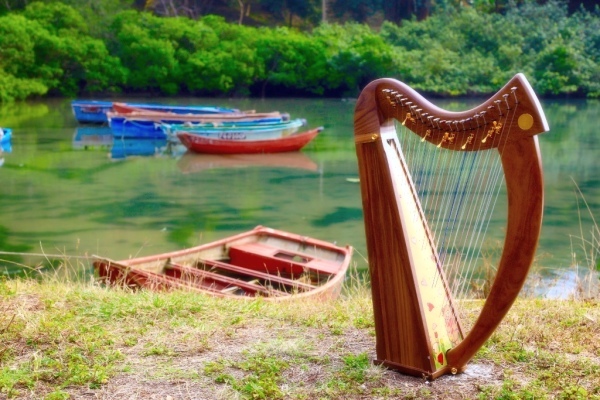 Today, there is a growing recognition of harp therapy around the globe. 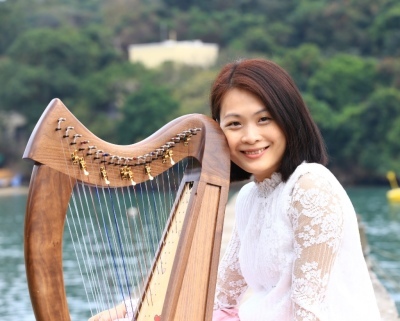 Harp therapist works around the world including USA, Canada, Australia, Japan, Europe in hospitals, community settings, schools and private clinics. Who benefits from therapeutic live harp music? People experiencing stress, anxiety and emotional crisis. People experiencing injury or pain. People experiencing chronic illness or dementia. Children have special needs such as developmental disabilities. People experiencing life's transitions, such as birthing and dying. Where does the harp therapist work? A wide variety of health care settings that include hospitals, ​nursing homes, palliative care facilities, patient support centres, educational institutions and private clinics. I learnt the piano at 12 years old and fell in love with the harp in 2005. Harp is one of the most ancient instrument that always links with the power to heal and soothe. I have strong desire to use harp music as a channel to bring joy and peace for people experiencing their difficult moments in life. As an occupational therapist with more than 15 years clincial experience. I have extensive opportunities in serving wide range of people with special needs including older adults with dementia and chronic illness; people with emotional and mental difficulties; people with mental disabilities and children with developmental disabilities. I realize how important for people to achieve holistic wellness. Human are born to strive for wholeness, a total balance among physical, emotional, spiritual and mental well being. Current health care system is good at fighting with diseases and prolongling life. However, there is still a huge gap that the ultimate needs of people who are suffering cannot be reached. We, people, all want to be connected with others and our own self as well as the God of the universe. The ultimate needs lie on the desire for comfort, belonging, love, existential peace, sense of wonderment and spirituality. In 2007, I visited my former colleague who was dying of cancer in the hosptial. There was nothing we could do but remained silence. The mournful moment was still vivid, at that time, I talked to myself 'If I could play some music for her, that might help...' Therapeutic music can offer healing presence for indiviudals with peace and intimacy. I have devoted to harp therapy in 2012, I studied the International Harp Therapy Program (IHTP) established by the renowned harpist Christina Tourin, who is also one of the pioneers in therapeutic use of harp since 1980s. 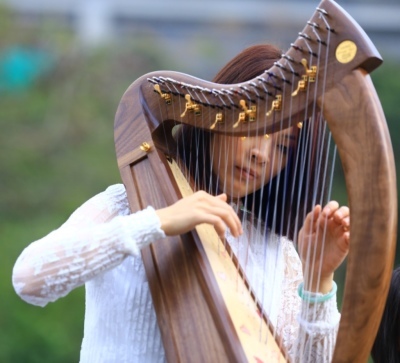 I find harp therapy effective to develop connection with people through the customized live harp music, matching with people's resonant tone, mood, breathing pattern and music preference. The harp therapist provides a tailor-made service rather than a performance, an accompaniment rather than a treatment. The client is always the center of the cradle of sound. I have continued study to enrich my practice in harp therapy and became certified Vibroacoustic Harp Therapy Practitioner (VAHTP) under the supervision of Sarajane Williams in 2017. Apart from delivering clinical services in harp therapy and integrative occupatinal therapy. I am also a part-time lecturer at local tertiary institutes in undergraduate programmes. Therapeutic harp music use in Hong Kong in still in its infancy, I am honoured to be entiltled as the Director of Program Development in Asia of IHTP to assist in promoting and developing therapeutic harp in Asian region. I am also one of the mentors of IHTP program. I want to share with you if you are also interested to learn more about therapetuic harp music and may become one of the therapeutic harp practitioners in the future. I am creative to customize services to meet your personal or organizational needs. I am attentive to witness the beautiful healing moments among people. I am eager to work collaboratively for the harmonious world.